Starr Carter, 16, has one persona in her poor black neighborhood and another in the predominantly white prep school she attends. But the uneasy balance is upset when she sees her best friend, Khalil, shot to death by police while unarmed. It’s complicated. Khalil is a drug dealer albeit an unwilling one. Her uncle is a cop and her boyfriend white. 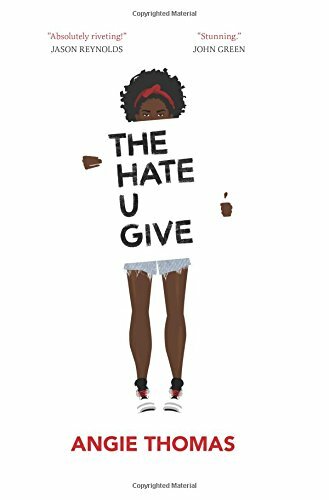 When the shooting makes national headlines, as the only witness, Starr is caught between a friend at school who thinks Khalil might have had it coming and her neighborhood which has seen one too many young black men killed. The dialogue in this well-written YA novel feels totally authentic. The writer manages to convey the complexity of the issue of racism and police violence through the protagonist’s life circumstance. Starr isn’t perhaps the typical victim, and her school friends at times seem somewhat two-dimensional in their political correctness, yet the book is still a compelling read lending insight into one of the most disturbing facets of modern American life.